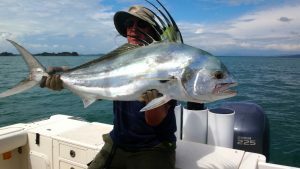 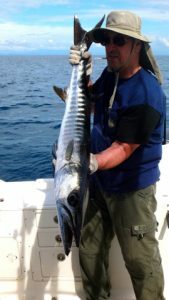 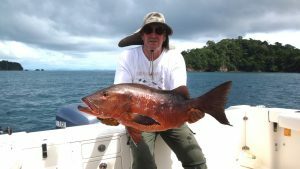 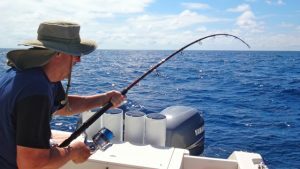 Inshore sport fishing with Come Fish Panama during the month of December we hosted David and his brother Steve Walrath to provide the rod bending Inshore Slam action. 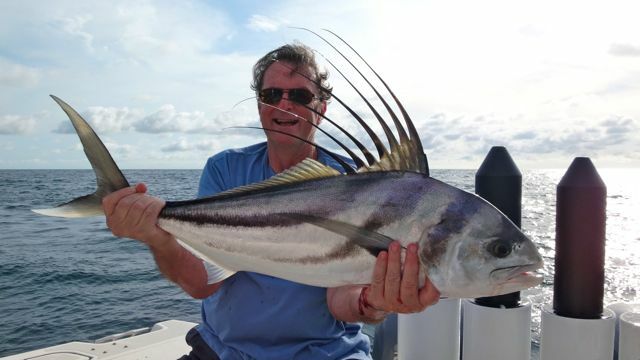 Arriving from Maryland to get out of the cold for a couple of days these were seasoned anglers looking to land their first Roosterfish and happy to do so! 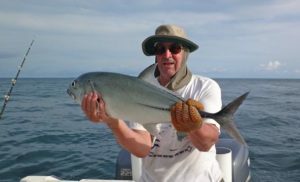 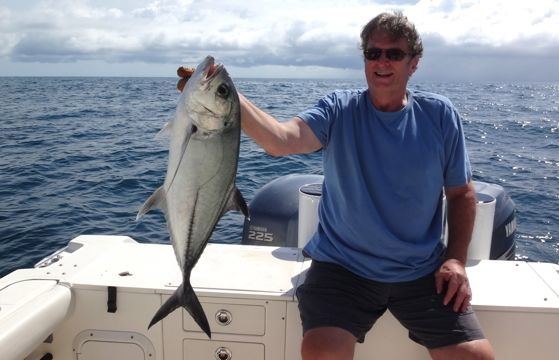 These angler enjoyed beautiful sunny skies with blue water all around and cool water to keep the inshore bite on. 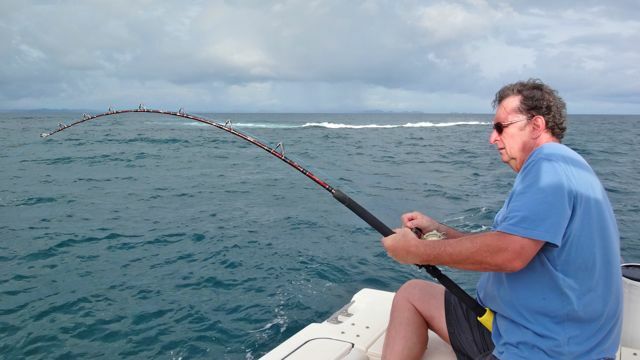 wonderful time with the Inshore slam but it was a bit tough trying to hook into a Marlin out at the Hannibal Bank. 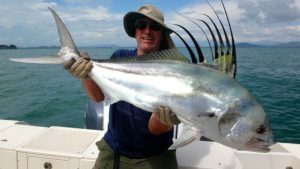 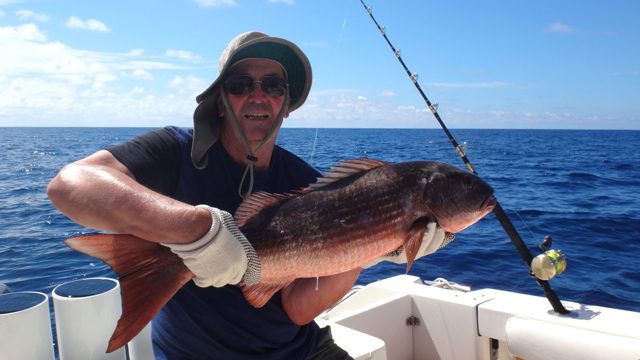 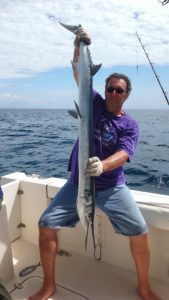 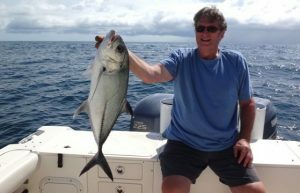 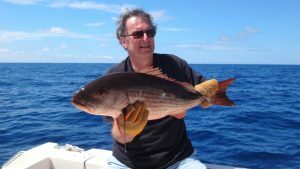 December continues to provide great inshore fishing for those looking to bend some rods along the rocky shoreline- Offshore bill fishing should start to pick up any time now. 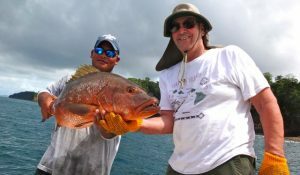 On behalf of the Come Fish Panama team, we once again would like to thank both brothers David and Steve Walrath for providing us an opportunity to take them sport fishing. We fully recognize there are many other fishing charter providers out there and are grateful our customers chose us. 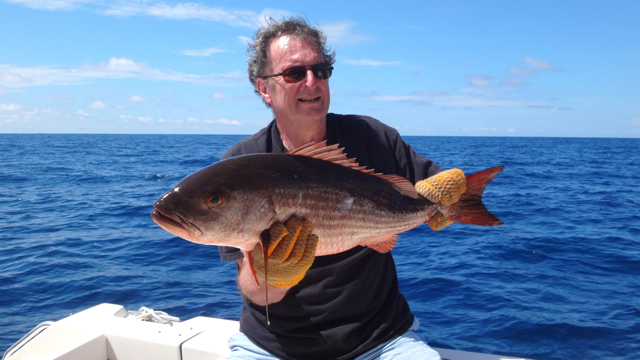 Inshore Slam photos below!